Electrical Supervisor at Ego Pharmaceuticals, James Lee, has been awarded a $10,000 scholarship from Middendorp Electric Company (Middy’s). Lee is responsible for the operations of the electrical maintenance team of five at Ego’s Braeside manufacturing facility in Victoria. The plant operates 24hrs a day, five days a week, which means some early starts managing the demands of a round the clock facility. Prior to applying for the scholarship, Lee had been heavily investing time into professional development achieving various certificate IV’s and a diploma and he saw the scholarship program as an opportunity to continue his studies. “The successful completion of these certifications progressively presented me with numerous career opportunities. It worked as a positive reinforcement for me confirming if I put in the effort, I can reap the rewards!” Lee said. “When I stepped back and assessed what was next, a tertiary education was the next logical step. As it is an expensive investment financially, it made perfect sense to apply for the Middy’s Scholarship for a financial contribution” Leeadded. As a result, Lee is currently undertaking a Master of Project Management at RMIT University and his employers couldn’t be more pleased. “We’re extremely proud of the initiative James has taken in applying for this scholarship, we pride ourselves on creating a culture that encourages our staff to always continue to develop and grow both personally and professionally” explained Ego’s Managing Director Alan Oppenheim. “We look forward to all the new skills and learnings James will bring to his department at Ego as a result of the scholarship and tertiary course” Mr Oppenheim added. 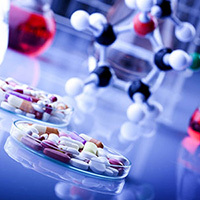 Pharmaceutical science, Drug manufacturing research, Drug development, Novel targeted drug research Pharmacokinetics and Pharmacodynamic, Pharmaceutical Analysis: Analytical Methods, Drug Delivery Techniques, Clinical and Hospital Pharmacy etc.